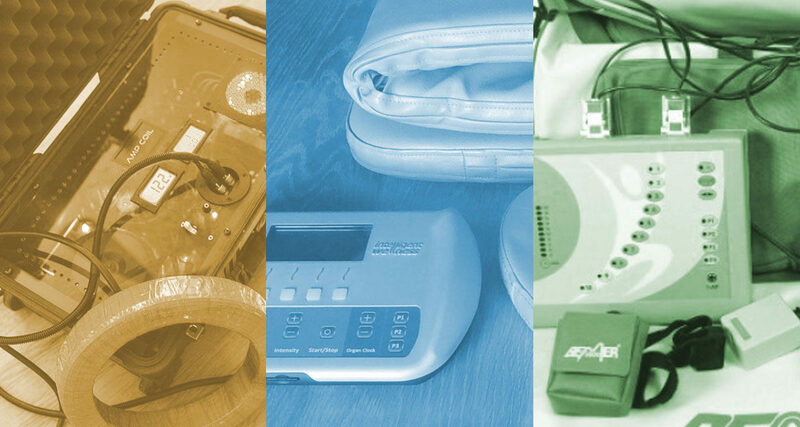 There are many different brands of PEMF systems available for consumers, both for home and professional use. They all work to the extent their technical specifications allow. There is much confusion about which systems are best for which problems. Unfortunately, practices like these are all too common. This is why we created DrPawluk.com. Dr. Pawluk and the team at drpawluk.com have used or evaluated almost every PEMF system currently on the market, whether or not it is in our store. Dr. Pawluk is committed to only recommending those systems that are of the proper quality and value, produced by reliable manufacturers with industry-standard safety and business certifications. We are often asked about other PEMF systems, so we have produced this brief review to answer some questions about the most commonly-requested systems Dr. Pawluk does not support. These are the PEMF products we don’t carry. One of the most common reasons we do not work with a PEMF brand is if it is sold through multilevel [or network] marketing [MLM]. MLM business rules are challenging to anyone other their own specific distributors, distributors often lack enough knowledge about PEMFs to properly advise clients, and customer service can be challenging. The low-frequency, very low intensity BEMER system is also an MLM or network marketing program. The Bemer program does not allow their associates/distributors to market other PEMFs. This goes against the core principles of drpawluk.com: every person deserves to have the PEMF system that is best for their needs. There is no “one size fits all” for PEMFs. Bemer marketing material, or what associates/distributors say, can be very misleading as well. Certain claims such as improving circulation are made to sound like these are unique to the Bemer when in fact they are common to all magnetic field therapy. Claims that any specific PEMF system is completely unique in its physiologic or therapeutic actions, must be backed by science. Dr. Pawluk’s extensive understanding of the research literature on PEMFs suggests that this kind of uniqueness is rare. As with other higher cost, low intensity systems, the cost of the Bemer system is significantly more than its value. The major aspect contributing to low value include very low intensity as well as a limited choice of frequencies or programs. We do not have the low-frequency, very low intensity iMRS for various reasons. The first is that, like Bemer, they are an MLM. The second reason is because of the misleading and problematic marketing material distributors regularly produce. Marketing material should be based on sound science and research, which is found throughout DrPawluk.com. Claims that magnetic systems with higher intensity than theirs are dangerous are simply not backed by science. Claims that “earth based” frequencies and intensities are best and that only these should be used in PEMF systems are also not scientifically valid. Since we put such emphasis on science and education, we cannot be associated with this type of false information. The third is the value for the price. There are comparable low intensity PEMF systems available at significantly lower cost. Finally, it is concerning that the iMRS does not offer a return period of any kind. The AMP COIL and related products are primarily Rife machines. The magnetic coil is used to deliver a wide range of frequencies that are selected based on Rife principles. The claimed magnetic field output is not possible based on engineering principles across the whole range of frequencies. Generally, the higher the frequency, especially above 20 – 50 Hz, the lower the magnetic field intensity delivered, even at maximum intensity. In addition, the coil is relatively small and is best used for local application. Healthy wave, Healthy lines, etc. These devices combine crystals and other components. The PEMF components of these devices only produce a magnetic field of about 3 Gauss. While they can be useful primarily for health maintenance, as are many other very low intensity, magnetic systems, they are not expected to be very effective for significant health issues. There is very little solid scientific evidence for benefits for most health conditions from very low intensity PEMFs or from crystals. It doesn’t mean they can’t help some issues, but I wouldn’t stake my health or life on them. This is a very low intensity PEMF system, less than one Gauss, and in that sense is comparable to other similar systems. The big value of this system is that it is significantly less expensive than other relatively comparable systems, such as the iMRS and Bemer. QRS is another very low intensity PEMF system of a similar generation to the iMRS and Bemer. Dr. Pawluk worked with the QRS for a number of years. This was stopped because of continued price increases without improvements in the technology. As other PEMF systems became available, the question of value for the price started to become an important concern as well. In addition, major customer service issues with the manufacturer began to happen that were unacceptable, significantly increasing the need for sending devices overseas for repairs. Very expensive systems like the PEMF-120 and TeslaFit Pro have such a high price because the engineering and components that go into them are unparalleled. Whether you are treating someone at home or treating someone in a clinical setting, we expect a PEMF unit to be able to handle a high output. In our experience, someone claiming to have the same technology but at half the price, is not using not the same technology, or the quality isn’t up to our standards. When you spend thousands and thousands of dollars on a system, we expect it to last you a very long time, especially if you are working at a clinical level. Routine maintenance is something to be expected with electronic equipment, but we expect it to be infrequent and easy to deal with. How long the manufacturer has been in business is an important consideration to evaluate the quality and durability of their products. As you can see, there are a number of products we don’t carry. there are also many more that aren’t on here that we either haven’t had the time to review or use, or perhaps that we don’t know about. Keep in mind that doing research on your own is very beneficial and that trying something out yourself is sometimes the best way to see if something works. We hope that you have found this list helpful and have a better understanding of some of the products we don’t carry. Multilevel marketing is a big reason that we don’t carry some brands. All the best to your health, Dr. Pawluk.